Whether you just want to get away for a day, have a date night or celebrate a milestone with friends and family, playing tourist in your own city can be just as satisfying (and less expensive) than jumping on a plane. We love fair-weather days out on the water, and when it comes with a chance to have a good meal with wine, while sailing past the city skyline, we say, why not? 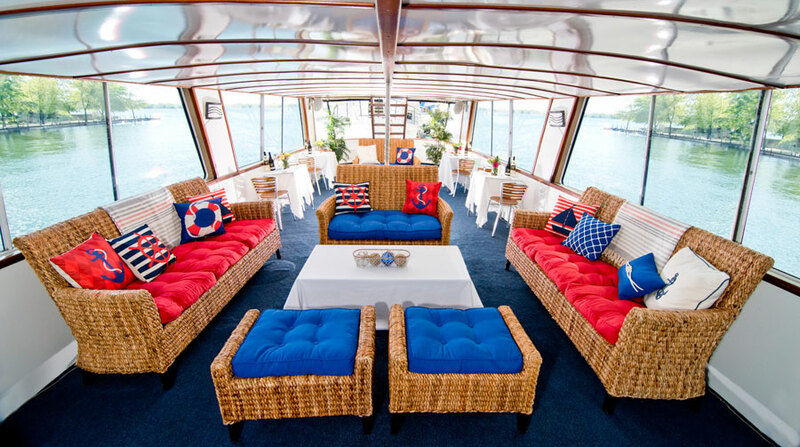 Everything from a Sip & Sail to Sunday Brunch to a Sunset Dinner is on offer. 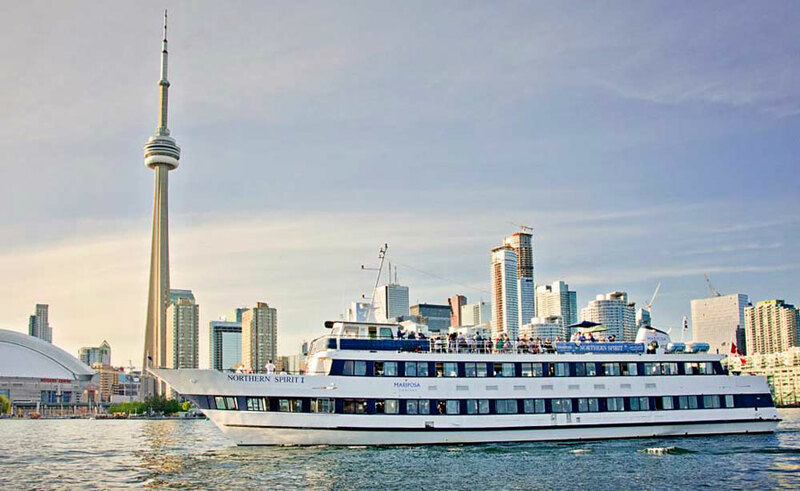 And, if you’ve got friends and family from out of town – or across the globe – visiting, Scenic Harbour cruises are offered in six different languages. 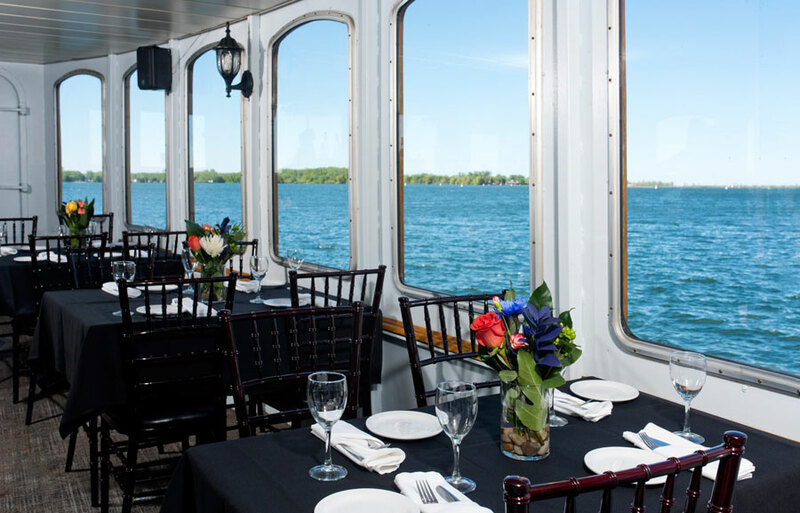 Mariposa Cruises, which takes trips around Lake Ontario out of Toronto harbour, has six well-decked out ships, including the newly renovated Northern Spirit (to the tune of $500,000! ), from which to choose. 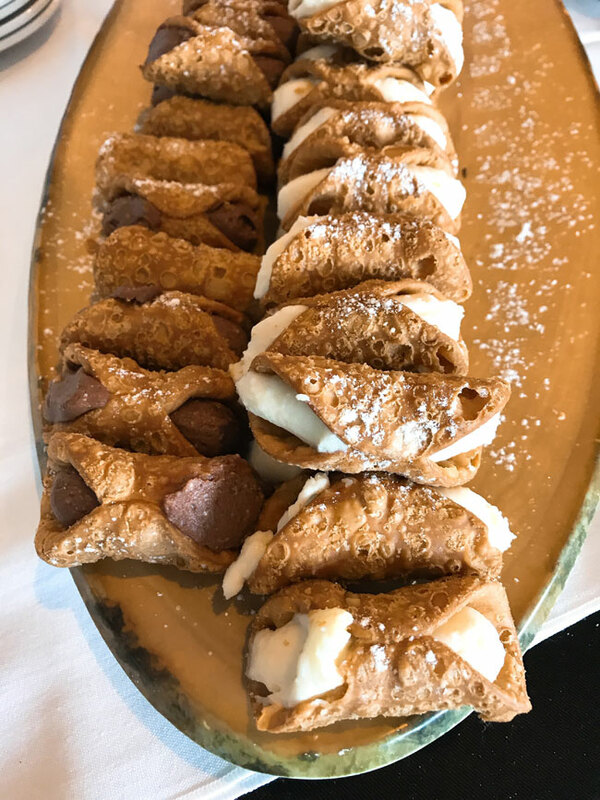 And, just for you dear reader, since we discovered that Mariposa has also upped its culinary game, we couldn’t resist asking executive chef Andrew Capone for his tips on feeding a crowd (feast your eyes on the cannoli on board for dessert!). Come sail away! When cooking for a crowd this summer, prepare dishes you’re already familiar with. E​xperimenting in the kitchen is the best way to learn and master a new dish – but you don’t want to do this when you have a big group about to arrive​. Choosing recipes that are tried, tested and delicious will reduce the amount of time you spend preparing and cooking and you won’t have to worry about the recipe turning out less than satisfactory! Be sure that you have all your ingredients ​a day or two before​ and that you give yourself enough time to cook​ – allow for at least twice the amount of time you’d expect to require in order to have a nice buffer​. This way you are never rushed or late with serving your guests. For example, if you are having a BBQ, you can prep all your salads the night before (without the dressing) and have all your burgers or any other proteins that you wish to serve prepared and ready to cook. This way when guests start arriving all you have to do is toss the salads together and turn on the BBQ. You’ll have more time to spend with your guests and a lot less time spent cooking. It can be a daunting task cooking for a large crowd and natural to worry about whether your guests will enjoy the food they are served. Food made with love will always be a true crowd pleaser, you just have to remember to use fresh ingredients, prep properly and keep an eye on your cook times!